Beautiful hand stamped leather is riveted with copper stamped bead focal. Flat elastic hairband with vine and leaf imprint is a much better solution for pulling up hair as it doesn't pull or break hair. 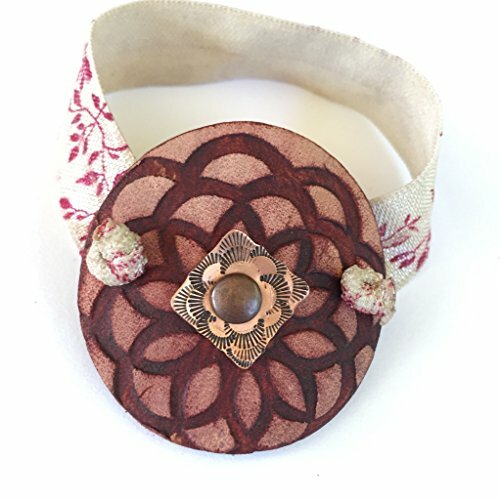 Our boho style leather hairband also looks trendy and fun on your wrist until ready to pull up your hair. Leather is wonderful because it just looks better and better with wear. If you have any questions about this product by BANDANA GIRL, contact us by completing and submitting the form below. If you are looking for a specif part number, please include it with your message.